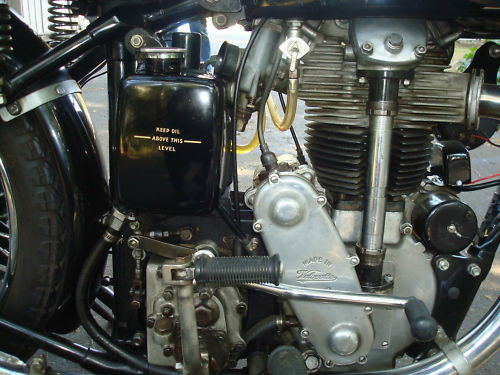 Racing engines have had Over Head Cam (OHC) almost from the beginning of motor sports. 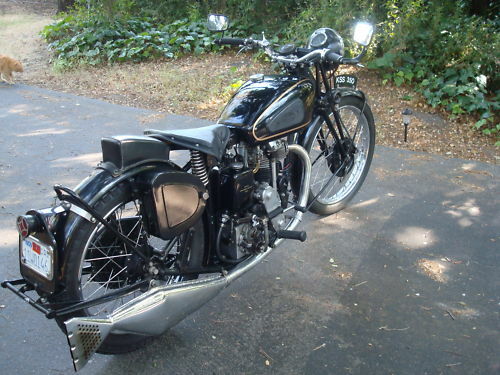 You need to remove the push-rod to go fast and win, and the British company Velocette did this early in its history, for both the race track and the road. 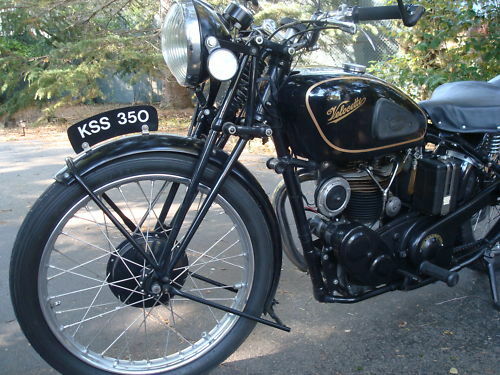 The Velocette KSS offered from 1927 through 1948 stood for Kamshaft Super Sport, (yes camshaft has a C) and was the road-going twin to the factory racing KTT. 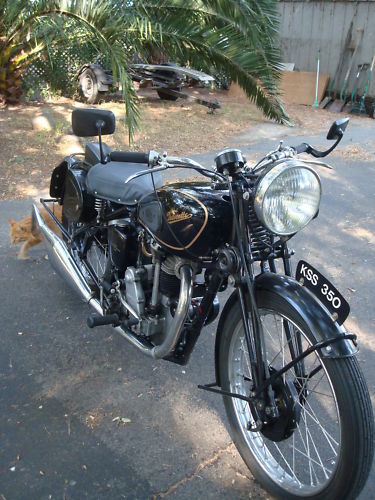 Velocette was well represented on the race circuits of Britain, Ireland, Europe and even Australia. 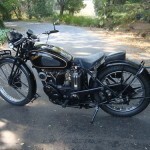 Both professional riders on factory prepared machines and privateers filled the starting lists for many year. 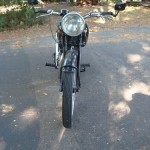 Riders put their Vellocettes into the winners circle in races like The Isle of Man TT and Velocette was able to sell the same design as a road bike by adding lights. on eBay now is one of those. 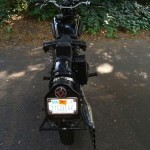 25bhp from the 348cc engine would push this 265 lb bike to 80mph. 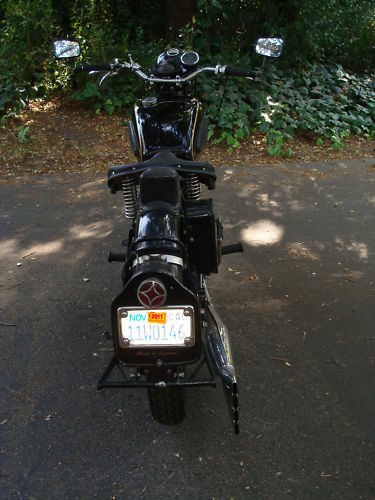 I would imagine the fact that you have 0 inches of suspension travel in the rear, and maybe 2 inches in the front, 80mph would feel more like 180mph. 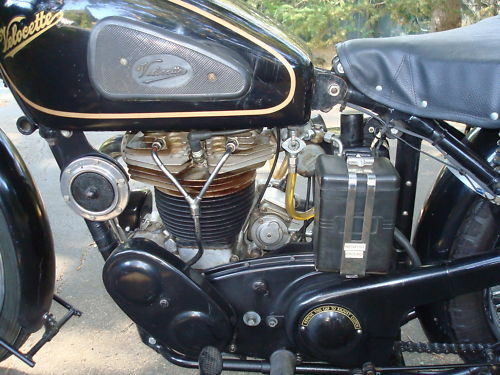 Motorcycles were born from bicycles, and engine design and development was always ahead of frame design and development, so grab your kidney belt before heading out for a ride. 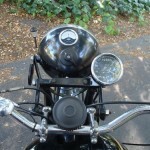 Motorcycle has completed only 2665 miles since rebuild. 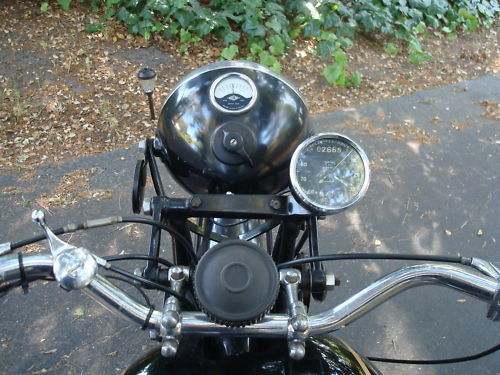 No oil leaks. Starts on first kick. 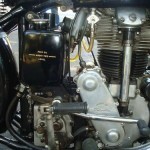 New JG electronic voltage regulator installed inside the original Miller cover in 2008. 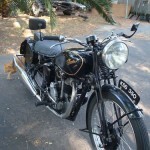 I’ve ridden this bike on several Velocette Owners Club rallies and it has never given any trouble. 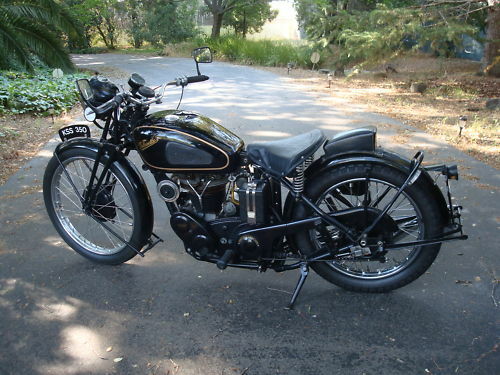 It has a wonderful power-to-weight ratio and is a lot of fun to ride. 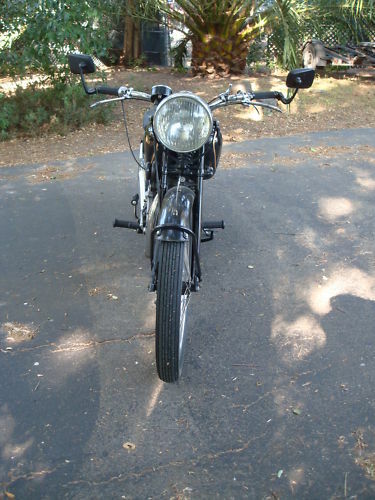 Everything works on this motorcycle including original headlight, original horn. 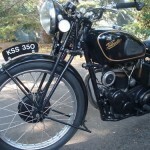 The Velocette Owners Club appears to be very active, and one member has blogged about their own KTT Velo, and posted a “ride report” if you want to know what it is like to ride a similar bike. 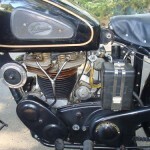 Another member has given a tutorial on upgrading the transmission to a KSS. 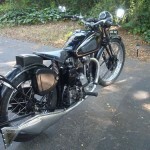 This is one of the bikes on my list, and hopefully a CSBFS reader will be able to check this off their list.